With all these tweets about the NFL, and my head still spinning from it, I thought a tweet about Tyler Seguin starting his day with the Cup would be appropriate. Just to change the monotony. 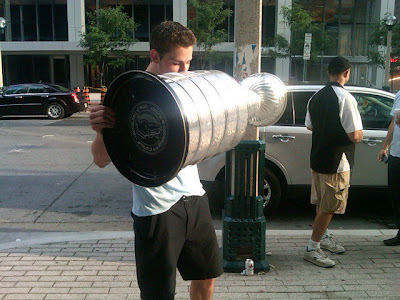 "@NHLBruins: Tyler Seguin has started his day with Lord Stanley's Cup...^BISH http://yfrog.com/klzt5slj"
If you have a tweet that you think should be passed along then forward it to me.